Hard water stains are another one of the most common defects we see in home windows. 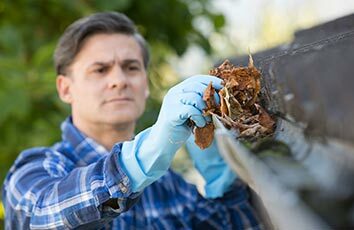 As anyone who has tried to clean them from a window or shower stall knows, they can be very difficult to remove. This window shows the effects of hard water stains. 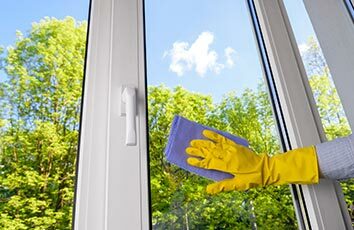 They are the white spots that display on glass and cannot be removed simply by cleaning the glass. Most hard water stains are actually the presence of calcium carbonate dissolved in the ground water, which is present in about 85% of US households. Hard water stains are caused when water with a high calcium carbonate content evaporates. The calcium remains behind, and is the cause of the white spots. Glass shower doors are especially vulnerable to hard water stains because they are daily soaked with hard water that is allowed to dry on the glass. 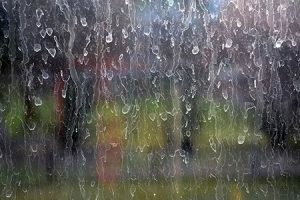 House windows that are hit by lawn sprinklers can also develop hard water stains, particularly at the bottom of the window where the water pools and evaporates on the glass. The longer the stains remain and build up on the glass, the harder they become to remove, and the more likely they are to begin to “etch” the glass. Once glass has been etched, it becomes much more difficult and costly to repair. There are several preventative steps you can take to minimize the effect of hard water stains. If you have sprinklers, ask the company that maintains them to adjust the heads so that they do not directly hit your windows. Use a squeegee every time you leave the shower to remove the water from the glass before it evaporates. If you already have hard water strains on your glass, there are a variety of home remedies you can find through an internet search. Often, however, by the time you get around to trying to correct the issue yourself, it has progressed beyond the point that these home remedies can be effective. Mr. Wright’s has two treatments that are beyond the reach of most homeowners. The first is the use of chemicals, and the second involves restoration. 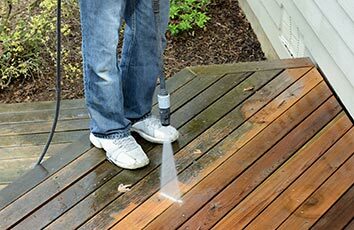 If they staining is only on the surface of the glass, we can use a hydrofluoric acid solution to treat it. The acid eats the silica off the glass. Where that’s not effective or where the hard water has begun to etch the glass, the only remaining solution is a restoration process. Restoration is done using a scratch removal system. This involves grinding the glass down to a level beyond where the etching exists. There are drawbacks to the restoration process. For one, it may not be 100% effective, depending on the level of damage and how it responds to the restoration treatment. Also, there is often a slight distortion to the glass that has been treated with the restoration process. If you have hard water stains and want to know whether they can be treated, let us know and we’ll be happy to come take a look.